Nigella seed is variously called kalonji, fennel flower,nutmeg flower,black caraway,and Roman coriander. 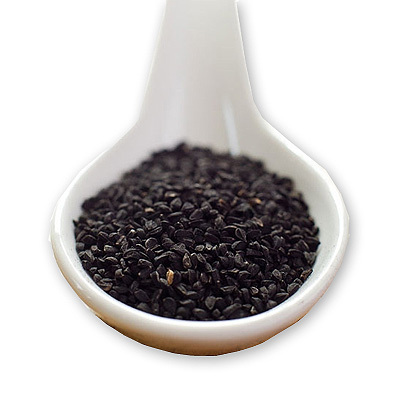 Other names used, sometimes misleadingly, are black cumin,onion seed and black sesame. Nigella seeds have a mild, nutty onion flavor, and they are used as a condiment in India and the Middle East on flat breads and vegetable dishes. Their shape has an interesting appeal, more edgy than sesame, but they can be used in many of the same ways.